Our Whim was adopted early in April! More Horses Adopted : ) Making 9 horses total for the month of March!! 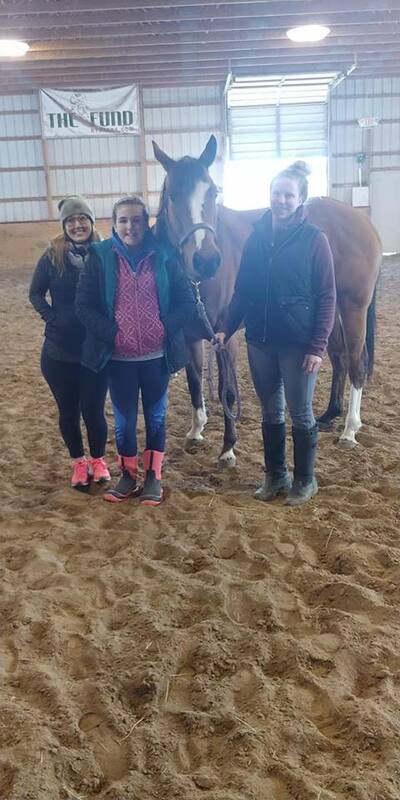 Deputy's Daughter has been adopted; Buffet aka Lost Shakerof Salt has been adopted into a barrel racing family with a 14 yro rider! and Rich Dalone was also adopted in February to a barrel racer. Fast N' Clear and Hillbilly Hula Gal ! 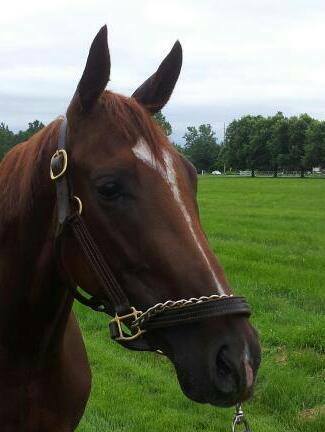 She'll Burn Ya, No Name Filly. and Sweet Plebe. All went to the same barn with two different owners. No Name is going to be a lesson horse, and Sweets is going to jump. She'll Burn Ya went for jumping, dressage and trail riding. We hope they have long and happy new careers!!! …is leaving Tuesday 8/14/18 to go to her new home. Here is a picture of her and her new human. Happy trails to you both!! 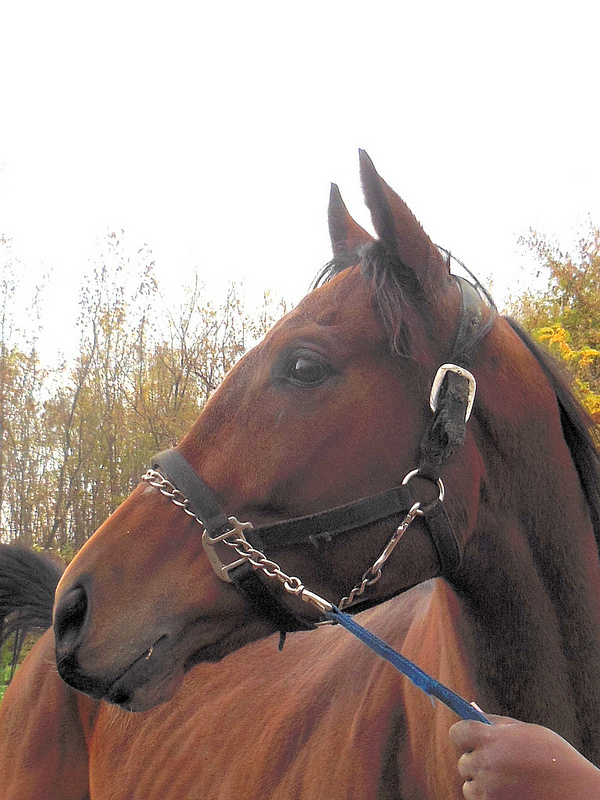 Congratulations to Lisa from Hamburg, NY on her adoption of Footnote in Blue. Congrats to Leigh from Linwood, NY on her adoption of Five Aces. 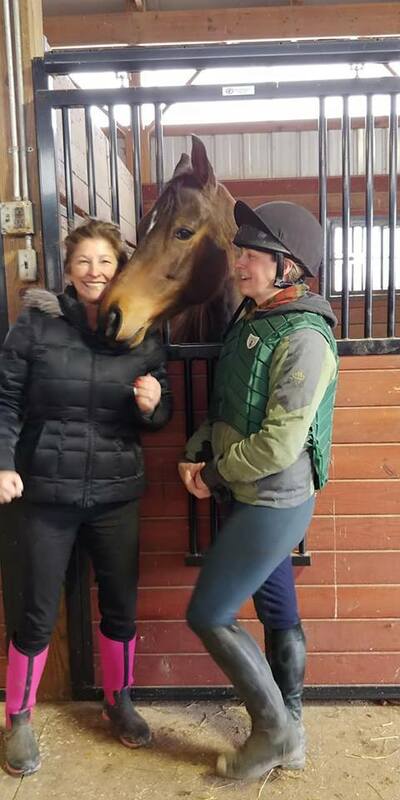 La Jolla Lu was adopted April 9th by Therese from Springwater, NY. We are so glad this sweet girl has found the home she deserves! BIG congratulations to Danielle Burgess on her adoption of City Mint. 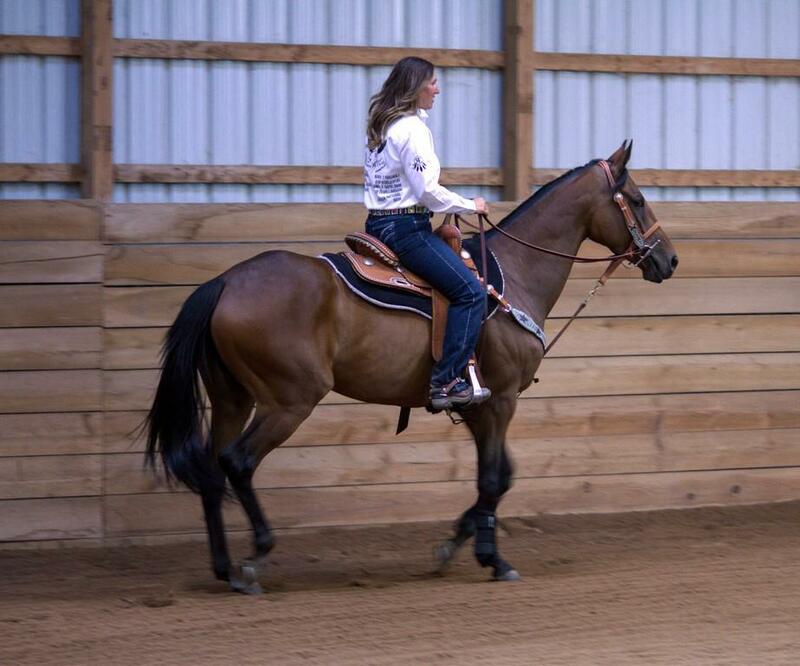 Danielle had worked with City and trained her for the barrel racing competition, where they came in fifth. Now Danielle is taking City home for good! 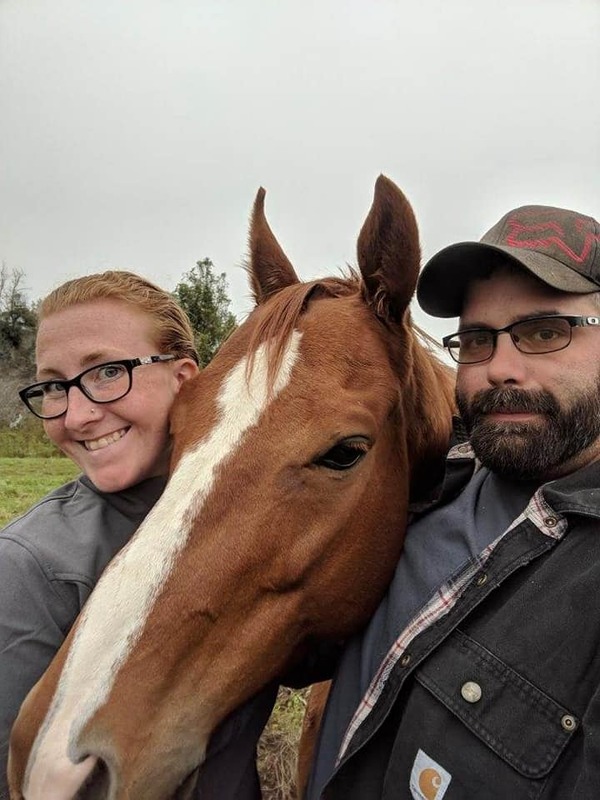 Congrats to Jamie, for adopting Bustin on Cecelia aka "Peanut"! Bustin' on Cecelia "Peanut" standing quietly in crossties while she gets groomed and loved on! This photo was taken on her 5th day at her new home.